I can't believe that summer is almost over. For me, it really has flown by. Isn't it crazy how some seasons seem to drag on and on, while others are over in a flash? There is so much stuff that we didn't get to do this summer, from going bowling, to one last trip to the zoo, to camping with the family at our favorite campground. However, even though summer is over, I am thrilled that it is now time for my favorite season, Fall! Fall is my very favorite season. I love the leaves, I love the crisp air, I love pumpkin patches, and Halloween and pumpkin spice lattes and chili and hoodies and breaking out the Ugg boots. Ahhh, Fall. One thing that I am going to make sure to fit into our fall traditions is one last end of the year camping trip. We recently got to check out some awesome Campfire Roasting Logs from our friends at Duraflame, and they were great! While we didn't get to enjoy them at our favorite campground, we will be soon! 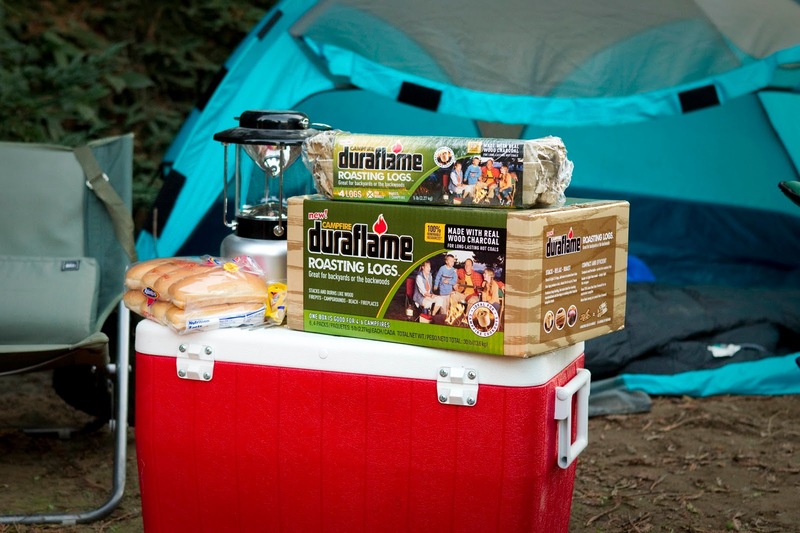 Duraflame was so nice to set us up with a camping package that included some great roasting logs, hot dog roasting sticks, marshmallows for smores, and some fun goodies for the boys! I am so excited to put this kit to good use for our fall fun! 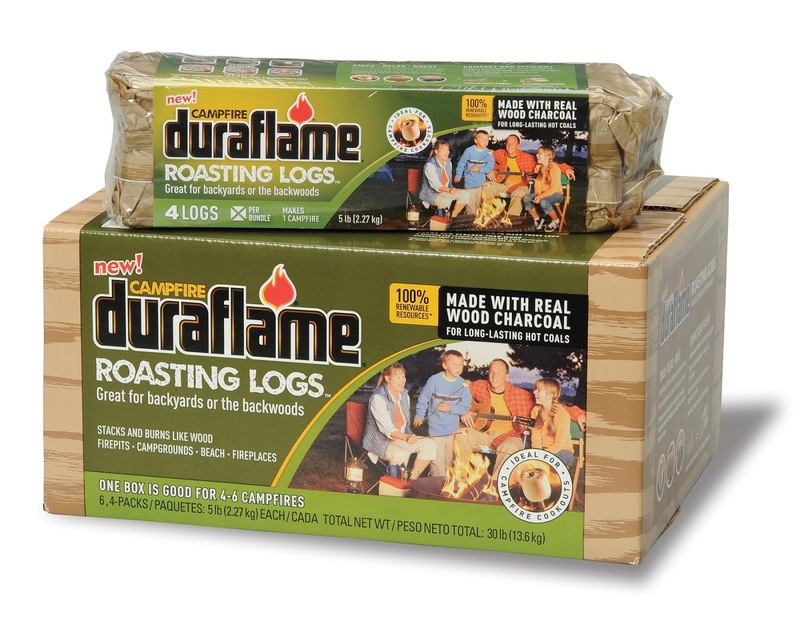 So, what are Duraflame Campfire Roasting Logs? 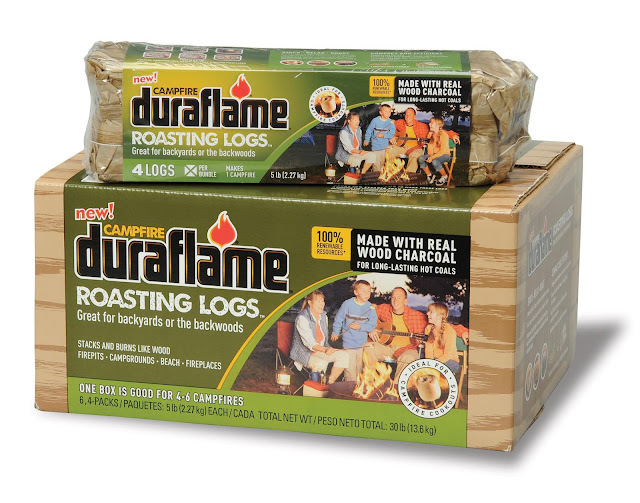 They are a new, special kind of Duraflame log designed for backyard or campground burning! I was provided with a complimentary camping kit in exchange for my honest review. All opinions are my own and no monetary compensation was given.